I think this might probably be the last summery outfit from this year, these photos were taken a little less than a week ago, when the weather was still pretty good- the sun was shining and it was relatively still warm! But, right now in Latvia, fall has definitely set in, leaves are starting to get yellow, it’s raining for most of the time, and the word of how I would describe the weather is- gloomy! But anyways it’s fun to look back at this outfit, as I am wearing a really lovely blouse from Arafeel.com, which is super lovely, because of the color, small button details and cute little layers! I paired it up with ankle length pants, which was a really rare combination for me, as I practically never wear ankle lenght pants, I bought these ones over the summer at H&M, they were on sale for only 10 euros, so I thought I would give a try, but this is actually the first time I am wearing them! These light colors suit you sooo much! <3 love them on you. The bag is super pretty (: lovely with the cute jewelry! You always have nice jewelry. I so love the top and the bag!! so girly!! So pretty, love this look and those earrings are so cute!! super cute girly! Love this! Loving your outfit dear! It's so cute! Wow so I have never heard of Arafeel but I am so in love with that bag and the blouse! They are so perfect on you. I adore the structured bag with the loose and flowy top. Great post Maddie! Love that song!! That blouse is so lovely, it has a beautiful colour! Love this utterly girly outfit, this shade of pink is so pretty on you Maddie! The bag and earrings accessorize it perfectly. Pity about the gloomy weather, its exactly the same here! Oh no that song is going to be stuck in my head now LOL! Oh well! I'm loving the soft colors in this outfit! So pretty! And your bag is so cute! Super beautiful look dear! Great soft color palette and style! so pretty! you look perfect dear! love the pink shirt here, it drapes so well! and the color palette is so pretty! I love the top! it's so pretty and floaty! wow maddie this is soooo beautiful and romantic! love the pink..it is so trendy now!! those earrings are amazing! & I adore this shade of pink! Pink suites you definitely! 🙂 gorgeous outfit!! I love that song too!!! I really like the Marilyn Mason version, check it out!!! Such a beautiful outfit! I love the sweet pink color. Everything including the handbag, shirt and earrings are my favorite. so pretty I love these pastel colours! the bag is so cool! You look so pretty. 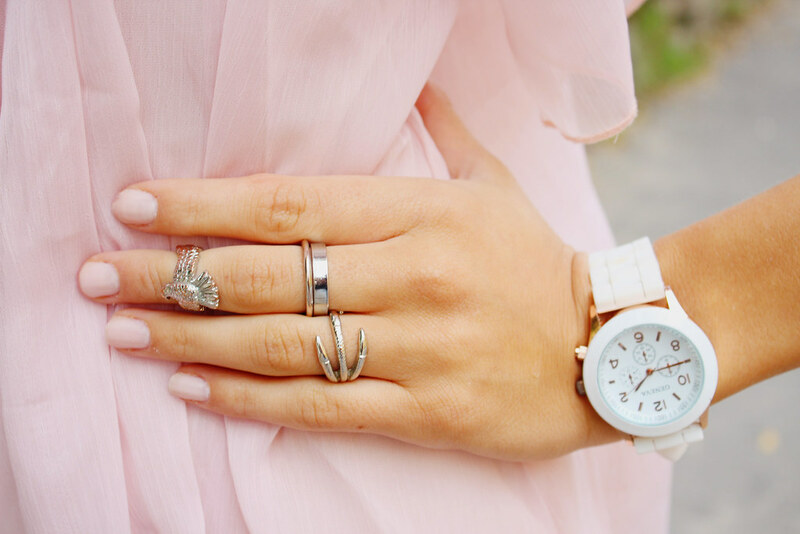 Adore the pastel pink. Beautiful outfit!! I love that pink bag!! This outfit is so romantic and feminine. I really like it! I love this feminine outfit, so pretty and casual, too. Love the H&M pants, great buy! You look so pretty and chic:))) Lovely! Oh no, now I have that song stuck in my head too! Hah! You look beautiful here, I could never pull off such a girly outfit, but I think this colour & style suit you so perfectly! Omg, the bag is so sweet, love it! cute outfit! love all your accessories! love how delicate and pristine the pieces in this outfit are.. so lovely and darling!! 😀 feminine chic! Love this look!! 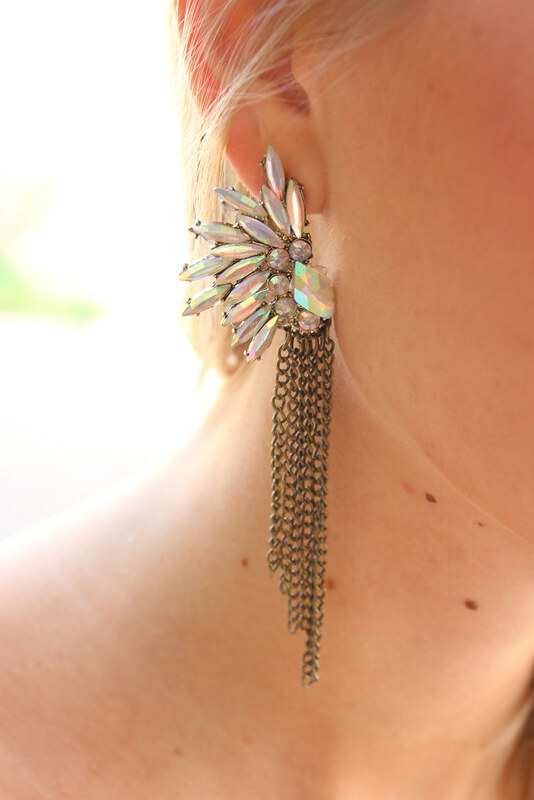 It looks great with all the jewelry you paired it with; those earrings are fab! Love the pastel! gorgeous look! The pink is so great! Oh and following your blog! You should follow mine for not only fashion but Interior Design! Such a cute shirt and bag! Very pretty- I think the best word for that top is ethereal. You look sweet and angelic! A lovely outfit!